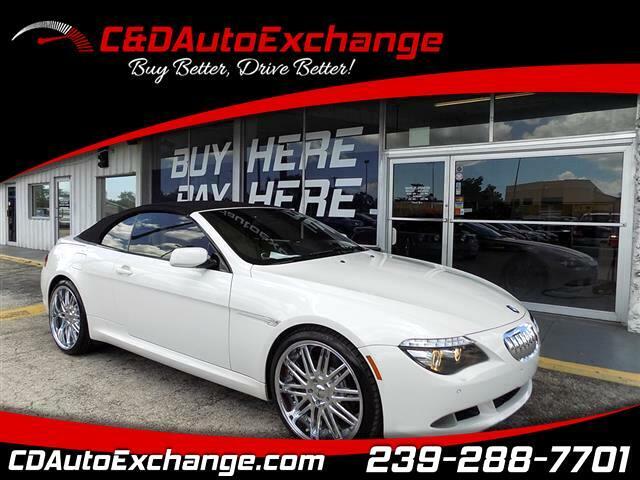 If it's thrill-a-minute driving you're looking for, the 2008 BMW 6 Series fits the bill. This 650i 2-dr convertible boasts a 360-hp 4.8L V8. In addition to fine leather trim, the 6 Series features dual-zone climate control, cruise control, keyless entry, heated memory seats, navigation system, and a trip computer. Safety features include well-configured airbags and ABS. 120 Point Mechanical inspection passed and certified, . 21 Rim/Tire Package optional at additional cost.